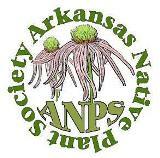 Meet at 10 a.m. at Burl’s Smokehouse on U.S. Hwy 270 in Crystal Springs, west of Hot Springs. U.S. Forest Service botanist Susan Hooks will lead us to one of the few known populations of black huckleberry, Gaylussacia baccata, the only true huckleberry in Arkansas. (All the other “huckleberries” are just ordinary blueberries.) We’ll also see Ozark chinquapin and cucumber magnolia (with luck, we’ll catch the cucumber tree in bloom), and a host of spring wildflowers. The trip will be more driving than walking; we’ll carpool at Burl’s and be back there for lunch around 1 p.m. Or bring a sack lunch. Nothing to do this spring? Check out the calendar and join us for a hike. This entry was posted in Field Trips and tagged cucumber magnolia, Ouachita huckleberries, Ozark chinkapin, Susan Hooks, US Forest Service. Bookmark the permalink.